Good News for all Railway Group-D CBT aspirants! 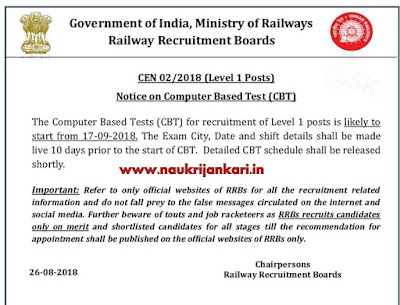 Today, Railway Recruitment Board (RRB) has issued a notification regarding the tentative date of Computer Based Test (CBT) 2018 i.e. online test. Earlier Mr. Piyush Goyel said that Non-ITI belonging candidates are also eligible for RRB Gr-D post. 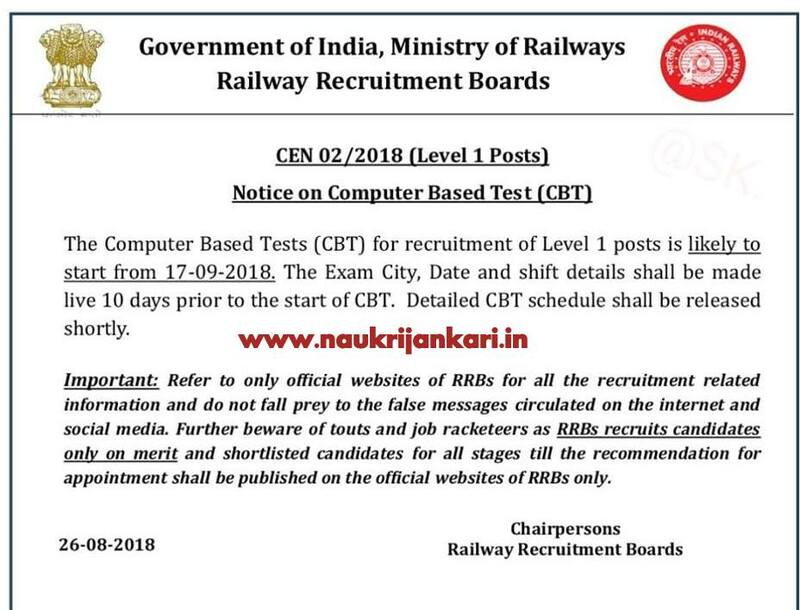 RRB has issued an official notice stating the date of CBT exam. As per the source of RRB, the CBT will be started from September 17, 2018. The exact date, time, venue of CBT will be made available 10 days prior to start of CBT and RRB is going to release the exam schedule shortly. So aspirants, be prepared yourselves for the battle. Stay tuned for more updates about RRB CBT. 0 comments for " RRB Rail Gr D CBT 2018 Exam date declared "